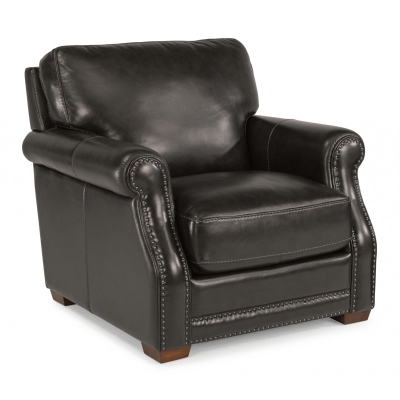 The Flexsteel 1365-10 Chandler Leather Chair is available in Hickory Park's, North Carolina Furniture Galleries. Hickory Park may be restricted from showing prices, however please select the Click For Quote button and Hickory Park Sales and Design Staff will reply or please call (828) 322-4440 for more information. A moderately scaled, approachable style. The moderate scale of Chandler's old-world rolled arm is highlighted by welt cording and distinctive nailhead trim. The back and seat cushions have a heavy-thread stitching detail that adds a casual, approachable element to Chandler's traditional heritage. 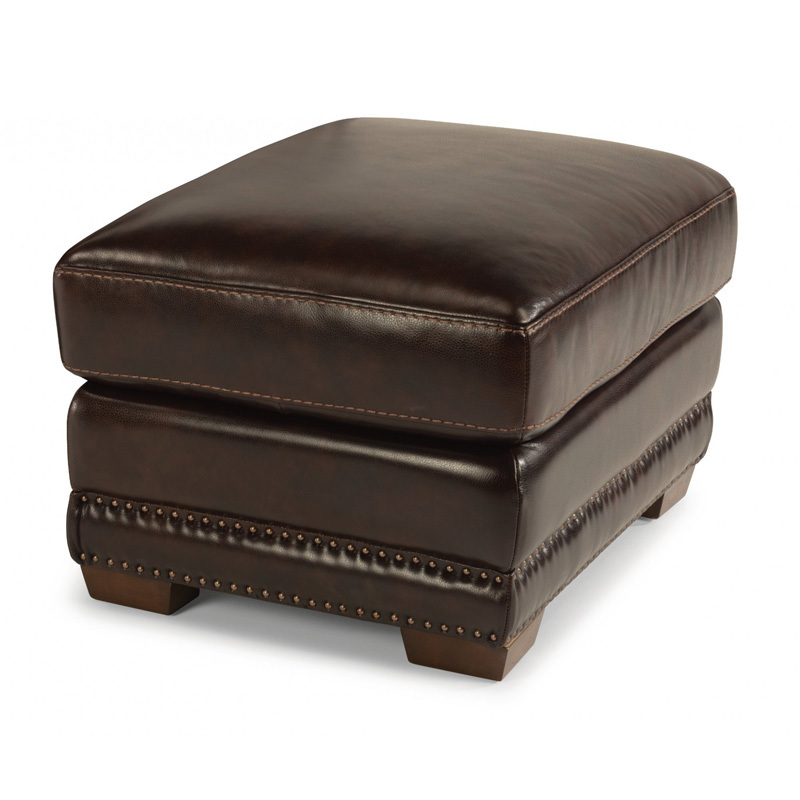 Coordinating Chandler ottoman is available. 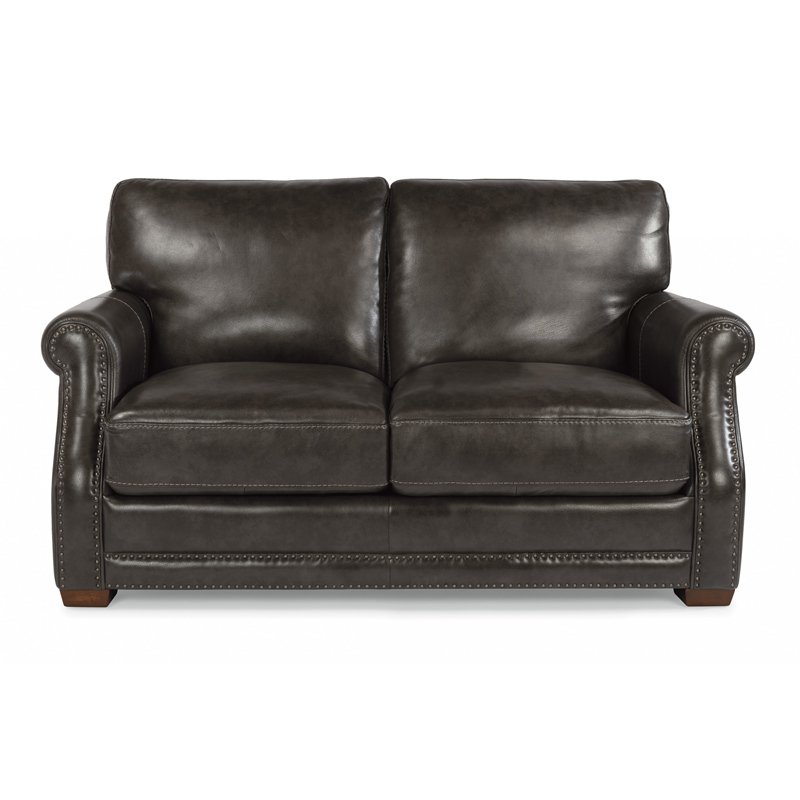 Click here to receive price quote for Leather Chair 1365-10 item.